RV Styles - Which is for you? Have you noticed how many different RV styles there are? You will find a wide variety of campers on the market today. From small ones to a full house, towed or driven, there's a style for everyone. You will be overwhelmed when you go shopping for a camper if you don't know what you need so you can narrow your options. One of the smallest of the travel trailer RV's is the teardrop style camper for two. With space for more people, but still easy to tow, there is the fold down unit also known as a pop up camper and a variation called an Aliner. These are small and can be pulled by just about any mid-sized vehicle. They also attach to the bumper mounted hitch. The camper portion pops up and folds out to make a larger space than the trailer itself. Usually there are sleeping areas at the front and back and a small area in between where you enter the camper. These lightweight campers are good for light traveling and vacation camping. One thing these lack is living space. They are compact for travel and open up just enough for a couple of people or small family. Next, let's examine the 5th wheel trailer. This RV style is pulled by a hitch mounted in the bed of a truck. The hitch is not on the bumper like a bumper pull. The 5th wheel trailer is built so the tongue of the trailer fits over the truck bed and slides into the hitch. This joins the two vehicles together better than the pull behind style, for more stability. These are a very popular kind of camping RV. What about a bumper pull RV style. These campers are pulled from the bumper of the tow vehicle. A class hitch is mounted under the vehicle and attaches to the camper by a tow bar and mounting ball. The tongue of the camper is made about bumper high to a truck so as to be in line with the towing. Fourth, let's look at a toy hauler. These are the cutest things if you are wanting to take four wheelers or motorcycles. 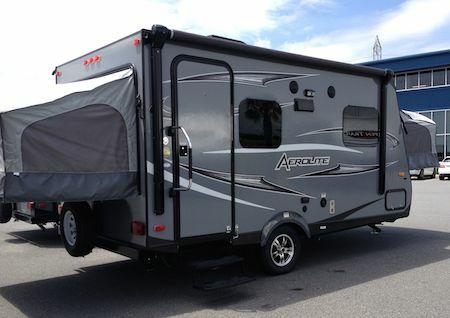 One end of these RV style campers opens up to the outside and has open space inside for storage. You can carry tool boxes and your small recreational toys along with you. The front part of the trailer is for living quarters. You will find enough room to accommodate your family and comfortable seating and sleeping areas. These are luxury level campers, to be sure. Another RV style of travel trailer is the hybrid tent trailer. These are a small, light weight, easy to pull trailer with a fold in concept. The core is a standard camper interior with kitchen, etc. 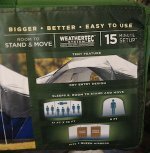 The tent ends pull out for sleeping areas leaving more room on the inside. These pull out beds make this RV versatile, yet as practical as a fold down camper. The best thing is you don't have to raise or lower the roof. Most hybrid tent trailers have the conveniences of a bumper pull camper. They can sleep up to six people. Similarly, there are truck tent type campers as well. 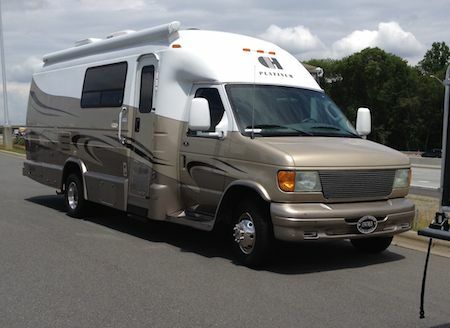 The motorcoach is just another name for a motor home, or a home with a motor. You drive this travel trailer to your destination and where you park it is where it stays. These are different than the other campers we have looked at. Most people pull a vehicle, called a dinghy, with these campers instead of a vehicle pulling a trailer. 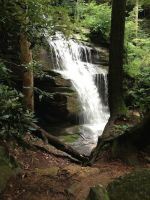 The reason is - you will need a means of transportation after setting up your camper. These RVs are spacious and often have fancier interior design and more options. You could live in a motor home just as you would a mobile home. A camper van is a smaller version of the motor home. A hi-lo camper is a little different than your regular camper as in the top lowers down. Now you can't put anything in this camper without laying it down whenever you are ready to lower the top. It is electric and is easy to use. The main thing to remember is to keep your things away from the wall area when lowering. Some campers and even motorcoaches have expandable rooms called slide outs. Now some of these are electric and some are hand cranked. Often you will find the eating area in a slide out. Sometimes the living area, sometimes a sleep area. These rooms are inside the camper when traveling and slide out when ready to camp for extra space. It is a very nice and convenient option you would love to have. I hope this helps you with the basics of RV campers. There are a few I didn't mention. 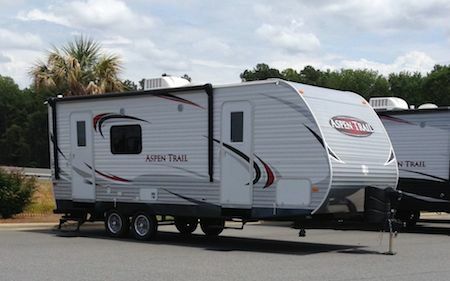 Be sure to ask the travel trailer dealer about the variety of campers they carry. You will know about what you are looking for when you get there. You can go to the campground and just ride through and look at the different campers and what company makes them. It will give you an idea of what design you like and then you will know where to look for the dealership of your choice. Be sure to check your vehicle's towing rates before you go looking for your camper. You can only pull a camper within the weight limits of the vehicle you plan to pull with. 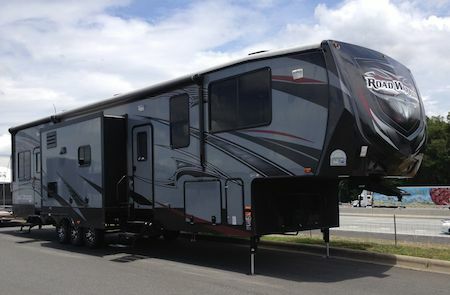 Ask your salesman to help you find an RV style that meets your towing needs as well as your living space needs. 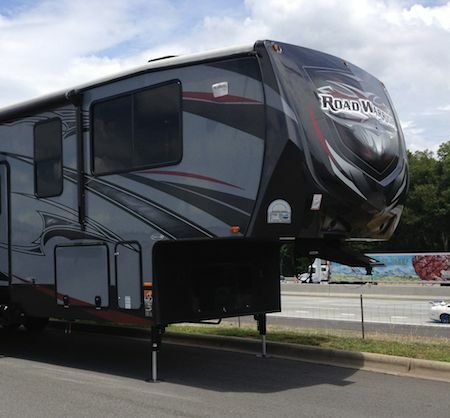 You may also need to be aware of the RV classes as you make your decisions on an RV purchase.